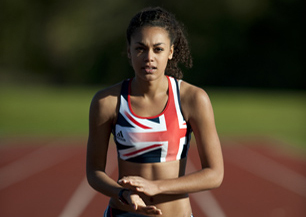 GB Athlete Adelle Tracey tells us all about the potential harm from the sun and how we can prevent it. As runners we are exposed to the sun more regularly than the ordinary person. Although the sun provides us with vitamin D and boosts serotonin levels making us feel good and helps to reduce blemishes, the sun also has its ‘Cons’. From a beauty prospective, the sun is particularly ageing. Over the years sunlight exposure increases broken capillaries in the skin and reduces elastic qualities that contribute to skin looking firmer and younger. There is also the more obvious risk of increased chances of skin cancer and melanoma. The higher the factor the more protection there is against harmful rays. Day to day a low factor will supply you with minimum of 90% protection, however in seasons of increased temperature particularly between the hours of 10am-4pm (peak sunlight hours) it’s important to use a high SPF. Factor 15 and above is recommended for sufficient protection. If you have sensitive skin like me you might be interested to know that SPF 50 has twice the amount of chemicals (less chemicals are recommended for sensitive skin) and only offers 2% more protection than SPF 30. I am mixed-race therefore my skin contains more Melanin. Melanin is a protective pigment in skin, which blocks UV radiation from damaging DNA and potentially causing skin cancer and ageing. The darker the skin tones the higher the levels of melanin. However, although there are less risks associated with harmful sunlight exposure and darker skin tones, increased melanin levels do not eliminate the risks; because of this I always wear at least SPF 30. You are exposed to UVA/UVB rays all the time, however most at risk when temperatures are high and shadows can be cast on your skin. UVA rays penetrate deeper than UVB affecting the skins thickest layer, the Dermis. These are the UV rays that contribute to premature ageing and wrinkles and UVA can also affect the immune system. This is because UVA rays breakdown elastin fibers and collagen molecules in the skin. UVB sometimes considered to be the more dangerous UV ray as it affects the outer layer of the skin called the Epidermis. 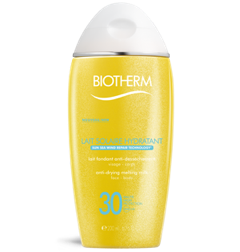 When the epidermis is left unprotected UVB rays can damage the outer layers of the skin causing sunburn. This is not only painful but permanently damaging over time, increasing risk of skin cancer and melanoma. • UVB – shorter rays that effect outer layers of skin. Cause burning. • UVA –Longer rays effects deeper layers of skin. Cause aging. Too much exposure to UV light can increase risk of eye diseases such as cataract, growths on the eye, and cancer. These conditions are more common in those who spend many hours out in the sun, particularly in UV intense conditions near to mountains, snow or water. People of all ages should take precautions when outdoors by wearing eye protection or a hat. • Sun damage can happen at any time during the year. • Avoid looking directly into the sun at any time; especially during an eclipse, this damages the eye’s retina from solar radiation. • Don’t be fooled by the clouds. You are still susceptible to harmful UV rays, always wear your shades. If you’re looking for a sunscreen that protects you from both UVA and UVB you may see the following ingredients on the container. The main one is Diethylhexyl butamido triazone and Ethylhexyl triazone. This can also be called Iscotrizinol, DBT or Uvasorb HEB. 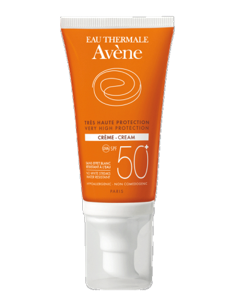 • Chemical sunscreens protect your skin by absorbing UV rays. Chemical filters consist of triazines & triazones, meroxyl, avobenzone and oxybenzone. These chemicals filter UV rays. 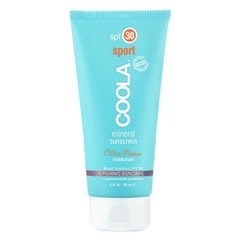 • Mineral or Physical sunscreens protect by blocking & reflecting UV rays. These contain zinc oxide & titanium dioxid and tend to feel more ‘Greasy’. • Hybrid sunscreens contain a mixture of chemical and mineral filters, which work together to protect from UV rays. I’ve tried and tested a few products and I would recommend the following 5 sun creams. I would recommend these, as they are a lot more durable than ordinary sun creams. 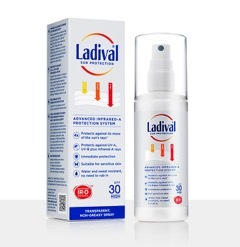 There’s nothing worse than sun cream running into your eyes when you’re working up a sweat, I have found these all to be very effective and long lasting, avoiding this issue. If like me, you like to wear natural products then most of these are also paraben free. It’s unlikely you are wearing too much sun cream so the following procedures will help you to protect your skin sufficiently. Its recommended two milligrams of sunscreen should be applied per square centimeter of skin. This equates to two tablespoons to each exposed area (each leg, stomach, lower back, upper back, shoulders and chest) and two pence sized dollop for your face. If you’re using a spray apply until there is an obvious even sheer all over the skin. Remember, sunscreen must be reapplied every two hours and more frequently with heavy perspiration, swimming and towel drying.